Social proof, also known as informational social influence, is a psychological phenomenon that occurs in ambiguous social situations when people are unable to determine the appropriate mode of behavior. Making the assumption that surrounding people possess more knowledge about the situation, they will deem the behavior of others as appropriate or better informed. People following the crowd at a game rather than stopping to ask for directions. In web terms, we might comment on a blog or Tweet it because we see others commenting and tweeting it as well. We might subscribe to the blog because we see that 10,000+ subscribers find it useful (we think: “Wow, there must be good content here”). In Real Estate terms, we look at a site like Irina’s: pasadenaviews.com – look at the “Featured Listings” sidebar. What do you see? A ton of current listings and several Sold listings. And if you look at her media page, you might think, “wow, she must know what she’s talking about she’s been featured in the L.A. Times and Pasadena weekly.” All of that is social proof too. What Others Say Matters More! It’s one thing for you to say you’re good at what you do and another thing when others say you’re good at what you do. Which do you think has more weight and credibility? A good testimonial is the best kind of word-of-mouth marketing that you can ask for. And a well written testimonial serves as just the right kind of social proof needed to turn a prospect into a paying customer. You can display your testimonials on it’s own dedicated page using a shortcode: [sfs-testimonials]. Step 1: Add your testimonials to the Testimonials Management Page. 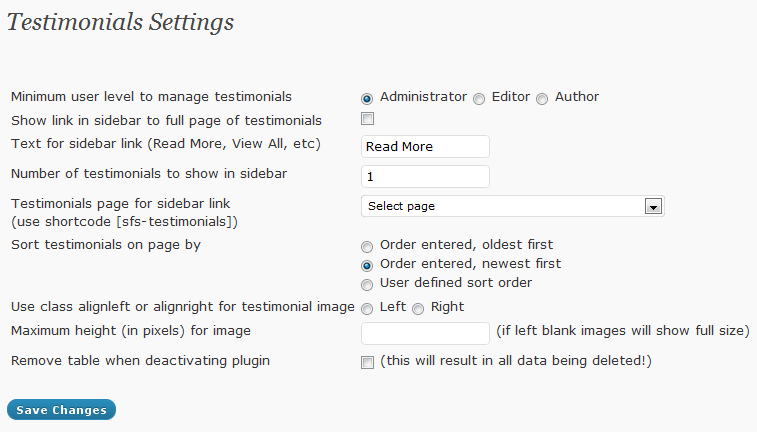 Step 2: Configure how many testimonials you want to display by adjusting your settings in the Testimonials Settings Page. Don’t over-edit. Testimonials work best when they sound genuine. People have good “B.S.” detectors nowadays so we can tell when you’re faking it. So keep your testimonials as simple as possible so they read naturally. Use testimonials that address specific objections. Keep in mind the message you are trying to convey. Testimonials that simply say you’re an awesome Agent don’t accurately convey WHY you’re an awesome Agent. A good testimonial explains the “why.” Then it’s up to you to place these testimonials on your site appropriately to help convey the message you’re trying to communicate. Encourage specific. Rather than saying “John (a.k.a. Awesome Agent) helped sell my home fast…” encourage your client to explain how you helped sell their home fast in the testimonial. In other words, get your client to accurately explain how you helped them. There’s nothing wrong with asking for testimonials. They’re some of the most effective kind of marketing you can add to your site. People care less about affiliations. They care more about how you’re going to help them and a little bit of feedback from previous clients goes a long way in helping them make a decision on doing business with you. So the next time a client sings your praises in a phone call or at the closing table, ask them for the testimonial right then and there. If they offer you a testimonial, great (follow up with them and get it). And even if they don’t…ask them anyway! How about you, do you use testimonials on your website? Written or video? I’d love to see some examples of how you’re using testimonials in your marketing! Thanks for the mention Ricardo! You my friend are very welcome!! Do you know of a plugin that will import Yelp or Zillow reviews? Unfortunately I don’t. I would imagine either Yelp or Zillow has a widget that you can upload to your site, but I can’t think of any plugin that imports that data. 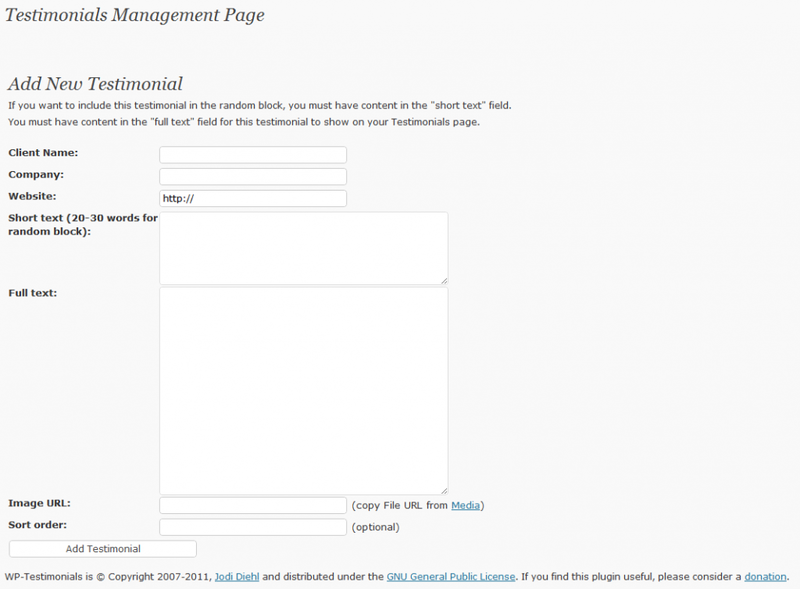 The WP Testimonials plugin detailed here does a pretty good job of loading things right up. It’s plug-and-play so really, you can copy-paste your data from Zillow & Yelp right in. I’m now looking for a way to allow clients to post their own testimonials that I will then approve. May just use a blog page and open comments up. If anyone has any suggestions, I would appreciate it.